Looking back over several decades of my involvement with Sunset, the mighty hand of God is apparent in what He has accomplished through this ministry. God has chosen to use hundreds of faithful servants in accomplishing His awesome works among us. He has blessed and preserved Sunset International Bible Institute as a preacher training ministry in Lubbock that has remained true to Biblical values in the midst of a polarized brotherhood in which many seem to be moving to radical extremes on the left and the right. Sunset has maintained a strong commitment to the values of God’s inspired Word, the Body of Christ (His Church) and Lost people all over the world. God has enabled three generations of evangelists, gospel preachers, missionaries and Bible scholars to join the Sunset faculty to be used by Him to equip and send out more than 3,000 preachers and missionaries from its Lubbock campus to take the Whole Gospel, to the Whole World, Wholly to Please God. He has empowered 2,000 college age young people, since 1973, to serve as apprentice missionaries, AIMing to Preach the Gospel in dozens of mission fields in Africa, Mexico, Europe, Oceania and Asia and in a number of U.S. mission fields. Our Lord has “renewed the strength” of hundreds of retired senior saints to prepare themselves in our Senior Adventures in Ministry classrooms to serve God’s church and the lost in places like Australia, Indonesia, Africa, Mexico, Europe and many small congregations in the USA. God has not forgotten the 140 million deaf people in our world. He has enabled the Sunset Deaf Department to equip hundreds of deaf and hearing to teach God’s Word, evangelize, and plant deaf ministries and congregations in the deaf culture of the United States and several foreign nations. He has provided the resources to launch DiscipleTrips, helping Christians to have positive and productive experiences on short-term mission trips in selected nations, including our own. 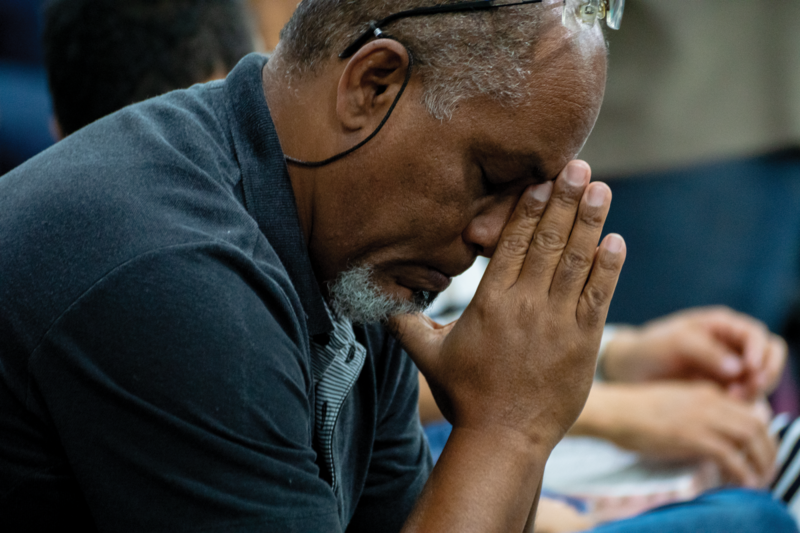 DiscipleTrips participants bless struggling congregations, encourage missionaries, and evangelize lost people while gaining increased faith, renewed zeal and a greater world vision in their own lives. Our God has used distance learning technology to take His Word deeper and farther, to reach people around the world who could not come to Lubbock for ministry training. In 150 congregations and on 400 individual computers, the Sunset Bible curriculum is being studied through DVD and online. Every year, SIBI students from all over the nation and world come to Lubbock to graduate, having completed their studies while continuing to minister in some distant location. The Lord has greatly multiplied the number and longevity of missionaries around the world by helping to initiate and grow the International Department at SIBI. It is no secret that there are not enough American missionaries available to evangelize the world. But now in over 40 nations, preachers who are native to those nations are preparing as missionaries to their own people, in their own language and economy, in over 70 Sunset Associate Schools. God continues to provide the resources to equip and send out over 300 well-trained graduates each year to evangelize, plant new congregations and train other leaders. Our Heavenly Father has enabled His Word to reach some of the most remote, receptive and yet often neglected people in our world. Through the Solar Mission, God has used over 2,000 donor churches and Christian individuals to provide the resources to deliver more than 10,000 solar players loaded with 400 hours of Bible and Bible teaching to leaders in over 50 nations and in four languages, with several others in translation. Using the light of the s-u-n, God has sent the Light of the S-o-n to thousands who are living in darkness.